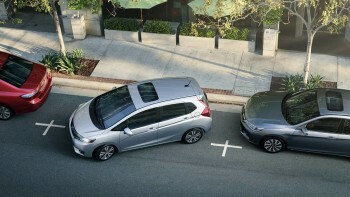 Comparing the 2016 Honda Fit to the 2016 Honda Civic is going to be a herculean task for even the most knowledgeable of Goshen and Monroe drivers. 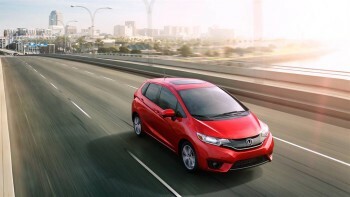 The 2016 Honda Fit is a class-leading subcompact with style, space, and versatility to spare, while the freshly-redesigned 2016 Honda Civic is the first 10th generation model of one of the country’s most trusted and admired compact sedans. To help you choose between them, we’ve written this quick and easy guide. The 2016 Honda Fit offers the same outstanding powertrain across all trim levels; after all, this is a vehicle made for fun and engaging city driving. A cutting-edge 1.5L four-cylinder engine generates up to 130 hp and 114 lb-ft of torque to ensure a vibrant ride, and you’ll make 0 to 60 mph in 8.8 seconds according to Edmunds — that’s much faster than most subcompacts. At the same time, with a 2016 Honda Fit LX, you’ll be able to achieve up to 29 mpg in the city and 37 mpg on the highway* with a six-speed manual or 33 mpg city and 41 mpg highway* with a CVT. 2.0L Four-Cylinder: Rated at 158 hp and 138 lb-ft of torque, it makes up to 27 mpg city and 40 mpg highway with six-speed manual or 31 mpg city and 41 mpg highway with CVT. 1.5L Turbo Four-Cylinder: Commands up to 174 hp and 162 lb-ft of torque while making up to 31 mpg city and 42 mpg highway with a CVT. Any Goshen and Monroe drivers comparing the 2016 Honda Fit to the 2016 Honda Civic will have to think long and hard about what kind of interior they want. The Civic offers tremendous interior space, with the redesign making it 3 inches longer and 2 inches wider than its predecessor, so even tall passengers should be comfy in the rear. There’s also 15.1 cubic feet of trunk space, something you’d expect from a full-sized sedan rather than a compact. Utility Mode: Flip the entire Magic Seat down to free up a staggering 52.7 cubic feet of cargo space. Long Mode: Flip down the front passenger seat to slide in longer items. Tall Mode: Folding down the rear seat will yield close to 4 feet of vertical standing space. Refresh Mode: Remove the front headrests and drop the front seats to recline along the entire length of the vehicle. 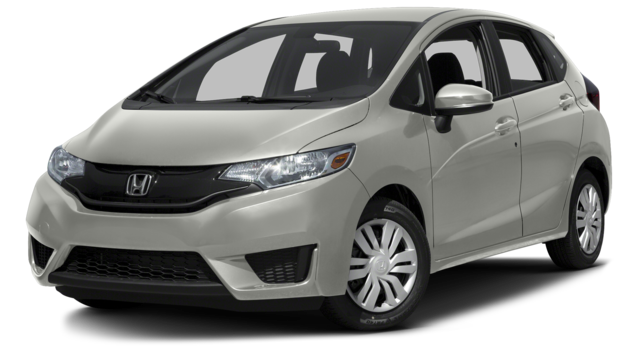 Both the 2016 Honda Fit and the 2016 Honda Civic deliver a strong selection of standard features for Goshen and Monroe drivers to enjoy, including a rearview camera, four-speaker sound system, Bluetooth phone and audio connectivity, cruise control, and automatic headlights. You’ll also be able to add several first-class amenities, including heated front seats and leather-trimmed seats. 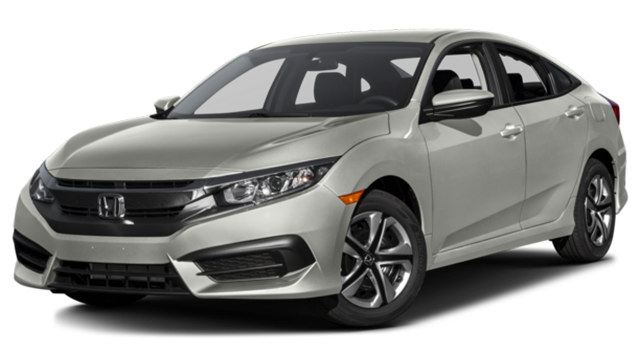 However, the 2016 Civic does offer a number advantages over the Fit in terms of technology. For example, you’ll also be able to heat the rear outboard seats, benefit from rain-sensing windshield wipers, and use either Apple CarPlay® or Android Auto™ to sync your smartphone to a 7-inch touchscreen display. Both the 2016 Honda Fit and the 2016 Honda Civic offer Goshen and Monroe drivers peace of mind thanks to their safety features. You’ll also benefit from a wide array of safety systems as standard, including daytime running lights, electronic brake distribution, a tire pressure monitoring system, and hill start assist. Even after reading through everything there is to know about these two vehicles, it can be tricky to decide on one without taking a couple of test drives. Luckily, the team here at Middletown Honda will be only too happy to arrange them for you, so pay us a visit today. ** 27 city/40 highway/31 combined mpg rating for 6MT model. 31 city/41 highway/35 combined mpg rating for LX & EX CVT models. 31 city/42 highway/35 combined mpg rating for EX-T, EX-L and Touring CVT models. Based on 2016 EPA mileage ratings. Use for comparison purposes only. Your mileage will vary depending on how you drive and maintain your vehicle, driving conditions and other factors.